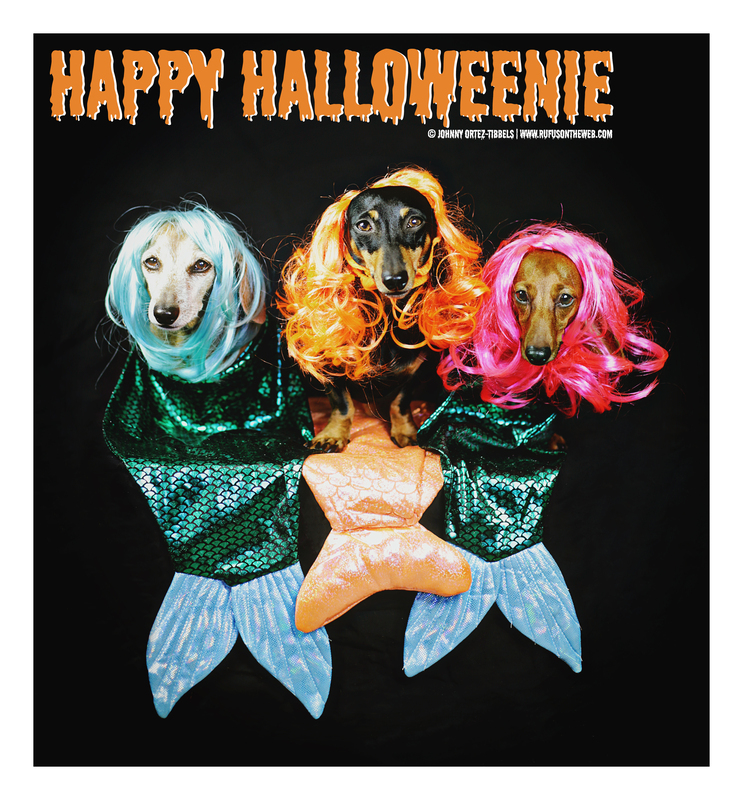 Rufus, Emily & Lily want to wish everyone a very Happy Halloweenie!!! Here is today’s personal dachshund share: Obviously Father Time is catching up with me because I totally forgot YESTERDAY (Oct. 30) was the 11th Anniversary of getting Rufus. He was born on August 21, but we first met Rufus (and subsequently took him home) on Saturday, Oct. 30, 2004. We has just gotten back from wrapping a film in NYC, and after a year and half of debate and consideration, we finally decided the time was right (or as right as it would ever be). AND our lives changed forever. Okay friends. Please be safe and keep those toxic chocolates out of our chowhounds’ reach. 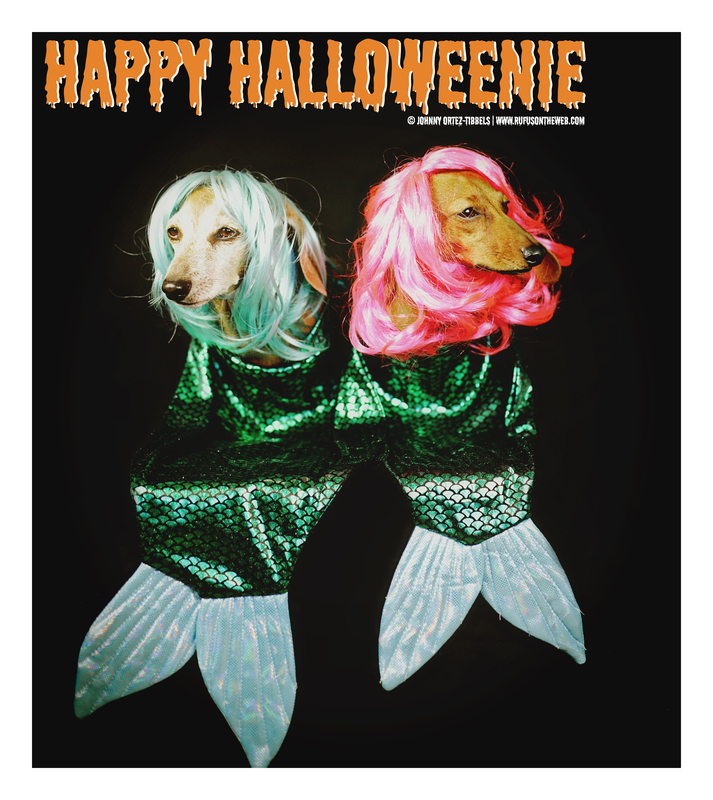 Additionally, Halloween with all of it doorbell rings and knocks can be a taxing time for our hounds, so give them a good long walk before the night’s festivities begin. And, if you’re like me, try to be beat the trick and treaters to the bell. When I see them coming up the driveway I usually rush to meet them outside. Have a great holiday and enjoy the photos. 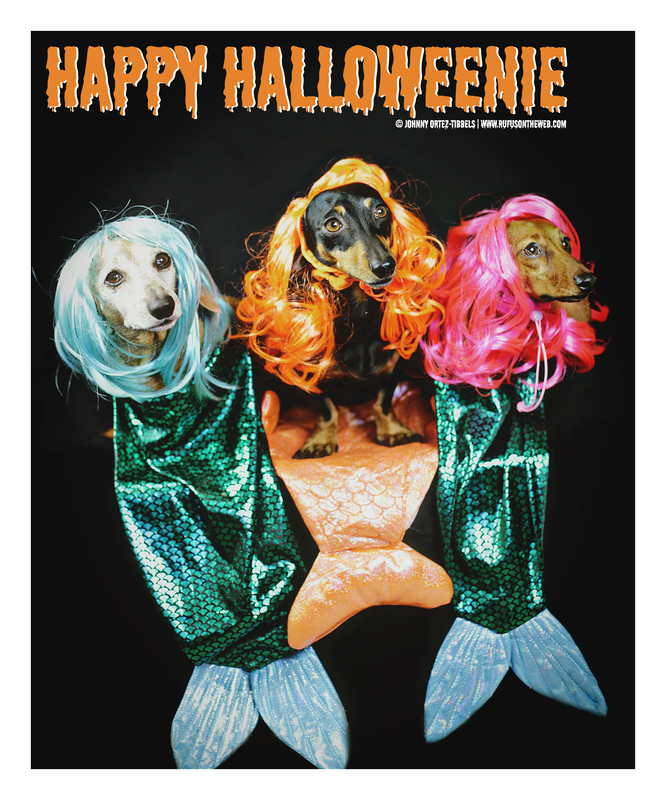 This entry was posted in Emily, Lily, Rufus and tagged #ADachshundsLife #HappyHounds, #AdventuresWithDachshunds, #black and tan dachshund, #dachshund, #DachshundPhotography #DachshundArt #OriginalPhotography, #Halloween #Halloweenie, #red dachshund, #smooth dachshund, #WienerDogs #HotDogs, doxies. Bookmark the permalink. 5 Responses to Happy Halloweenie! too cute!!!. Wouldn’t you love to know what they’re thinking? Our red doxie, Gary Cooper, turns eight today. I use his Halloween birthday to explain his wacky personality. LOL. So glad you got Rufus. I know yall celebrated together. Hope yall had a safe and Happy Halloween.